The Peoples Democratic Party (PDP), has barred former Vice President Atiku Abubakar and ex-governor of Jigawa State, Sule Lamido, from displaying their posters and banners at next Saturday’s convention. Ex-governor of Kano State, Ibrahim Shekarau and Governor Ayo Fayose of Ekiti State, have also been warned against using the event for their presidential campaigns. 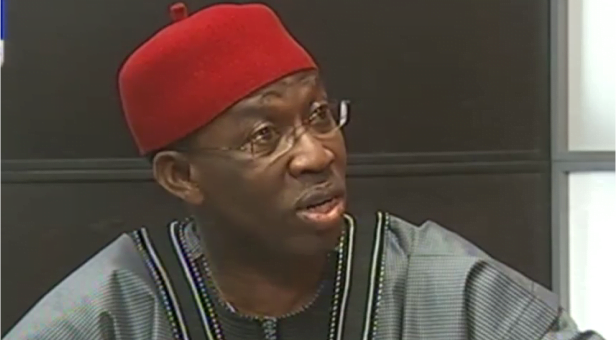 Chairman of the party’s convention planning committee and Governor of Delta State, Ifeanyi Okowa, told newsmen at the end of the committee’s meeting in Abuja on Monday, that all campaigns must stop by Friday. “We need to make this announcement to all our party members and well wishers that the convention is going to be for delegates and we are expecting a little less than 3000 delegates. And those delegates have been properly accredited by the accreditation committee. “And for those our party members that are going to come are welcome to Abuja, but they will not be allowed to come to the eagle square and this is because we want to be sure that we are in a position to deliver a credible elective convention. “We are trying to put all these processes in place so that we don’t over crowd the venue. I want to urge aspirants to the various positions to please, keep their campaigners away from the convention venue and we believe all campaigns would have stopped by Friday. “I will not expect any aspirant, especially presidential aspirants to bring their campaign posters, campaigners, men or women to the venue because it will not be allowed. “And we want to appeal to all of them campaigning to desist from doing that. For those who want to campaign for future election, possibly the presidential aspirants this convention is not the place to display campaign posters or to display their intentions. “I believe there will be an appropriate convention for that. I want to urge them to cooperate with us as a committee,” Okowa said.